Pricing that can’t be beat! We’ll buy your vehicle even if you don’t buy ours! 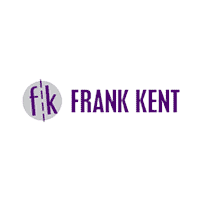 Frank Kent is committed to providing you with excellent service throughout the life of your vehicle – new or used. We know purchasing pre-owned can be daunting, so it’s our pre-owned promise to you that we will provide honest best-in-market pricing, along with our own careful certification process to ensure you feel confident and secure every time you get behind the wheel. WHAT IS OUR PRE-OWNED PROMISE? We start with research to ensure we are bringing you the very best value for each pre-owned vehicle on the lot. We base our pricing on features, Blue Book values, availability – and of course our competitors’ prices! This results in a Haggle-Free price; allowing you to feel confident with what you’ll pay and that it is the best deal around, speeding up the car-buying process with no back and forth negotiation. We evaluate pricing daily, so rest assured we are giving you our best price up front and want to get you in that new pre-owned car, and back to your busy life, as quickly as possible. Frank Kent stands behind our used cars with our own Frank Kent Certified Pre-Owned Warranty for an additional 2 year / 100,000-mile term. We want you to feel comfortable and safe on the road, so we put all of our used cars through an extensive 128-point inspection to ensure they are in tip-top shape. The warranty also includes a one-year membership to Road America’s ‘Auto Assist’ Program, offering 24/7 round-the-clock assistance that covers tows, flat tires, dead batteries, gas and fluid delivery, and much more! The Auto-Assist Program even covers up to two days of rental reimbursement, and travel expenses if the break down occurs out of town. Bottom line – why would you shop any where else for your pre-owned vehicle? Not Ready to Buy? We’ll Buy Your Vehicle Even If You Don’t Buy Ours!